Prolific Academic now testing INSTANT Paypal cashout! One of the bugbears most of us have about GPT and survey sites is the fact that once we’ve reached that hard earned cashout threshold, we then have to wait to receive our payment. Of course, in the case of sites such as InstaGC, this isn’t the case to a certain point, but with many sites a wait of up to 10 working days can be possible. Academic survey site Prolific previously took a middle ground on this subject, with payments being processed every Tuesday and Friday, which made the delay slightly less onerous, but even so, a wait it was. But that’s about to change! In the past couple of days Prolific have been testing providing instant payout via Paypal, and having tested it myself, it works. It’s unclear at the moment whether this is being rolled out to all members, but I’d advise you to check your email as people in our Facebook group have reported receiving emails telling them that Paypal payouts will now be instant. There’s still a payment threshold of £5, and a fee, which at the time of writing is 2.9% + 20p. There’s still a delay on payouts to the Circle app, but those of you cashing out to Paypal – the future is instant! Happy about this? Come and talk to us in the GPT Genies Facebook Group! 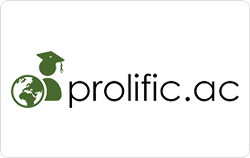 Not a member of Prolific? It’s a great site with interesting surveys you won’t find on the other sites you use. Pay per survey is good and minimum cashout is £5. Many of our members have made hundreds of pounds, including your admin. Click on the image below to join up. Have you done everything on our Prolific checklist? Join our Facebook group for Prolific and other GPT site users. « Will you be a graveyard smash with Swagbucks’ new Monster Mash Team Challenge?